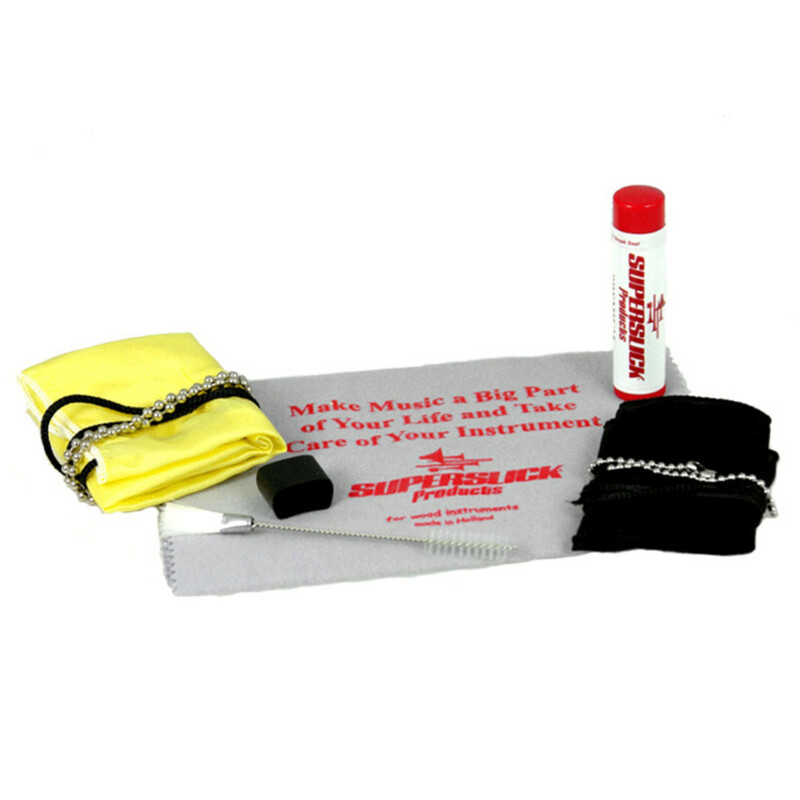 This Bassoon Care Kit provides the ultimate maintenance accessories all in one package. Including pull through swabs, brushes, cloths, cork grease and a thumb cushion, this Superslick care kit goes one better than all its competitors in caring for your bassoon. The Superslick Bassoon Care Kit comes with a mountain of accessories to ensure that your bassoon remains in pristine condition. Both a body and a bocal pull through swab means that the inside of the instrument will be kept clean and free from moisture build up. The outside of the bassoon will be kept just as clean with the specific wood polish cloth for the body and the double ended dusting brush for keywork. Finally, cork grease has been added in to ensure that the joints are kept in great condition and are free to move.